The Federal Communications Commission (FCC) is considering whether “to ban TV stations from saying the name of Washington’s football team,” according to a National Journal report. If successful, Banzhaf would “impact almost every broadcast outlet in the country” and make it impossible for those stations to get loans and financing. “Despite whatever the origins of the word ‘R*skins’ may be, or the original intent of the owner who first gave the team its name, the evidence is now overwhelming that the current meaning is an offensive demeaning racial swear word, not only to many Indians, but also others,” Banzhaf wrote in his FCC filing, according to the Post. 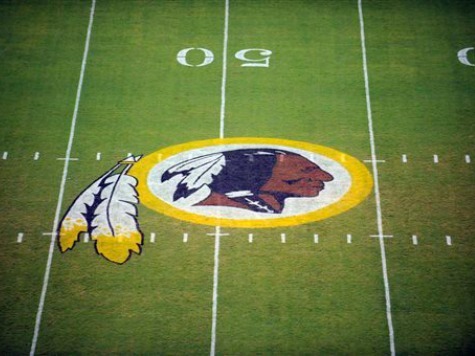 Majorities in nearly every poll do not think the Redskins should change their name, but a the Trademark Trial and Appeal Board of the U.S. Patent and Trademark Office recently canceled the team’s trademark. Snyder, though, has vowed to “NEVER” change the team’s name because he says it has always been a term meant to convey respect.